Why choose Nuffield Health Haywards Heath Hospital for your hip replacement surgery? If you have been suffering from prolonged hip pain or are struggling with every day movement, you may benefit from a hip replacement procedure. At Nuffield Health Haywards Heath Hospital our leading orthopaedic surgeons specialise in joint replacement surgery and provide rapid access to treatment. Our expert hip consultants will be able to help diagnose the severity of your condition before advising you on your surgical options and any other alternative treatments. As an orthopaedic patient at Haywards Heath, you will be provided with a personalised treatment plan which is unique to you, as well as the support from your chosen consultant throughout your journey, from your initial consultation, right through to your aftercare. Nuffield Health Haywards Heath Hospital is conveniently situated on the outskirts of Haywards Heath and has become an established part of the local community, providing first class private healthcare to both locals and patients from West Sussex and further afield. Our convenient location enables us to provide plenty of free parking. If you are interested in hip replacement surgery but are not sure if it's the right treatment for you, feel free to attend one of our free orthopaedic open events at our hospital. Here you will get the opportunity to meet one of our hip surgeons and ask any questions you may have. 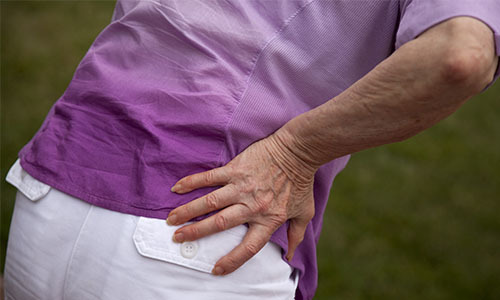 If you are suffering from hip pain and want to discuss your treatment options with one of our consultants in Haywards Heath, you will need to book a private consultation via our dedicated enquiry team on 01444 456999. Why might you need a hip replacement? There’s no cure for osteoarthritis and it can get worse with time. However, joints can be replaced successfully, improving mobility and reducing pain. What happens during hip replacement? You will have a large dressing covering your wound. Don’t forget to wash your hands with soap after going to the toilet at any time. Physiotherapists will work with you during your stay to help give you the best start with your new joint.